Tend to obsess over your health? 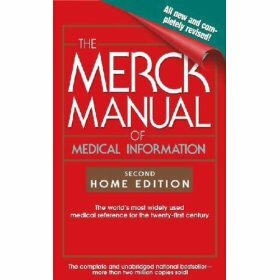 Then don't read Merck's Manual of Medical Information. Pick it up and you will quickly fall down the rabbit hole of the index, where you can find every malady you've had, might have and will have over your lifetime. It's a miracle our bodies function at all, really.